Audi is synonymous with all-wheel drive and when the company makes a rear-wheel drive only car it’s a big deal. 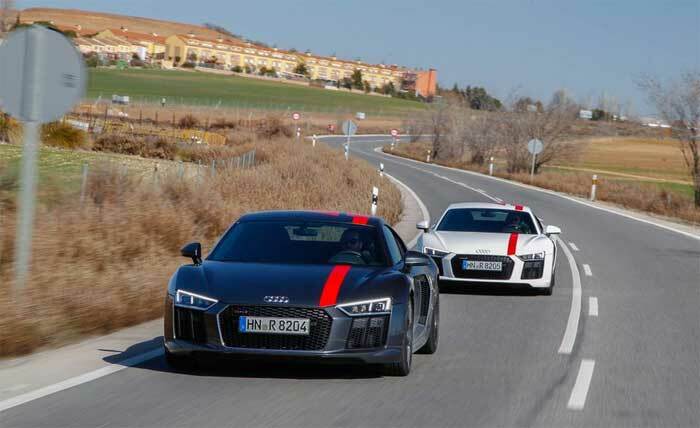 The 2018 Audi R8 RWS is a limited edition with only 999 made total and only 320 of those coming stateside. RWS stands for Rear Wheel Series. The special edition version costs $141,250, which is over $26,000 less than the all-wheel-drive version. It’s also lighter with 110 pounds shed of AWD tech. Buyers can get a $7,800 premium package that gives 18-way power seats, automatic high-beam, microsuede headliner, and more. Even optioned the RWS is still cheaper than the normal AWD version. Buyers can also get a Carbon Interior package and wider 20-inch wheels in gloss black for $3,400 and $1,500 respectively. The Carbon interior package does require you to get the premium package as well.